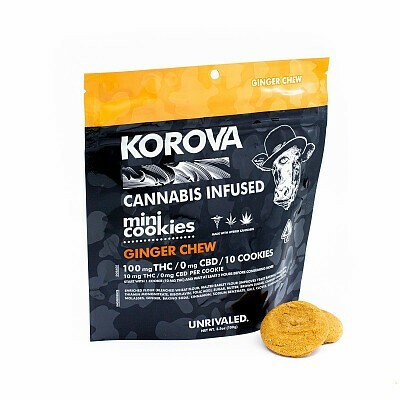 Our Ginger Chew Mini Cookies burst with spices like ginger, cloves, and cinnamon. Anyone who enjoys gingerbread will love these! Another non-chocolate alternative on the Korova menu! 10 Per Pack.